TAN like the celebrities do! I love easy. I love not sweating on the beach, say no to lobster face and I love a golden glow sometimes! But as a skin therapist and beauty expert it is a no no to BAKE like banana nut bread. So, I love the healthier alternative for tanning beauty.The latest trends in summer skin are pretty much classic either by tanning towels, lotions or the creme de la creme of self tanning like they do on Dancing with the Stars…an air brushed spray tan. MOST celebrities do it as their beauty secret before they walk down any red carpet…you can too. Google away and find someone in your city. Jimmy Coco is the spray tan king in Hollywood.But if you can’t get to LA I have found the man in Jacksonville! 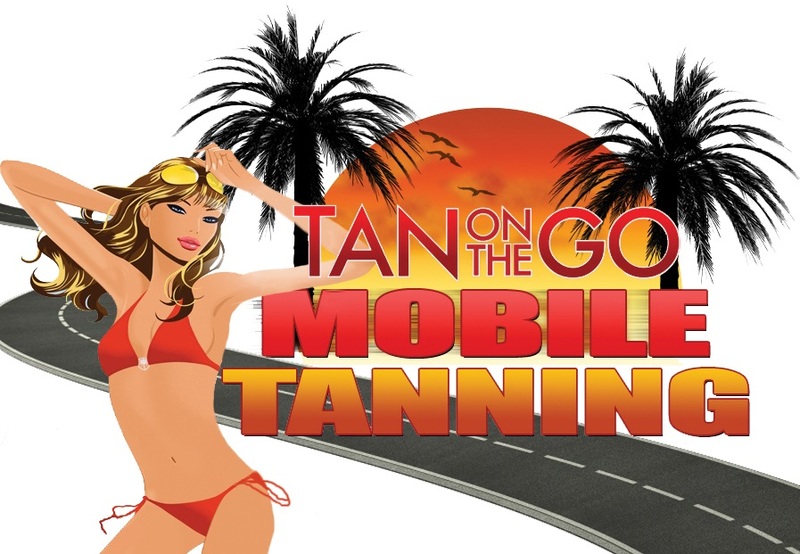 TAN on the Go Mobile who comes to your door.A handsome man with a tan or one of his team can make your tan skin dreams come true. Cost $45.00 and up in the Jacksonville, Florida area for a healthy looking buff body tan.I know you all don’t live in this area but you can find someone in your neighborhood to give you a faux glow too. Takes about 4 to 5 mins. for them to apply it and it lasts about a week on your skin.Call Mark at 904-537-7387 for your Buy two get one free mobile tanning services as mentioned on channel 4 today. Offer expires soon. NOT for ladies only…Guys will love it too! A better way to wrinkle less and a way to make your body look more toned,well rested light golden complexion,cover spider veins,red splotches,vericose veins and body blemishes.A spray tan hides a multiple of sins that you may not like about your body without going to confession. Get out your sunglasses,tan smart and safely and ready to flaunt the star you are. It is that time of year again…sweet sunny summer time! Stay tuned for link for my beauty & lifestyle TV segment on WJXT 4 at http://www.news4jax.com today.